Dr. Sara's book, The Hormone Reset Diet, sets forth a revolutionary 21-day hormone balancing detoxification program. The program calls for a daily "approved" reset shake, increasing fiber and greens intake, and detox supplements. Dr. Sara's Reset360 Ultimate Detox Kit has you covered - supplying everything you need to perform Dr. Sara's 21-day plus Reentry detoxification program. 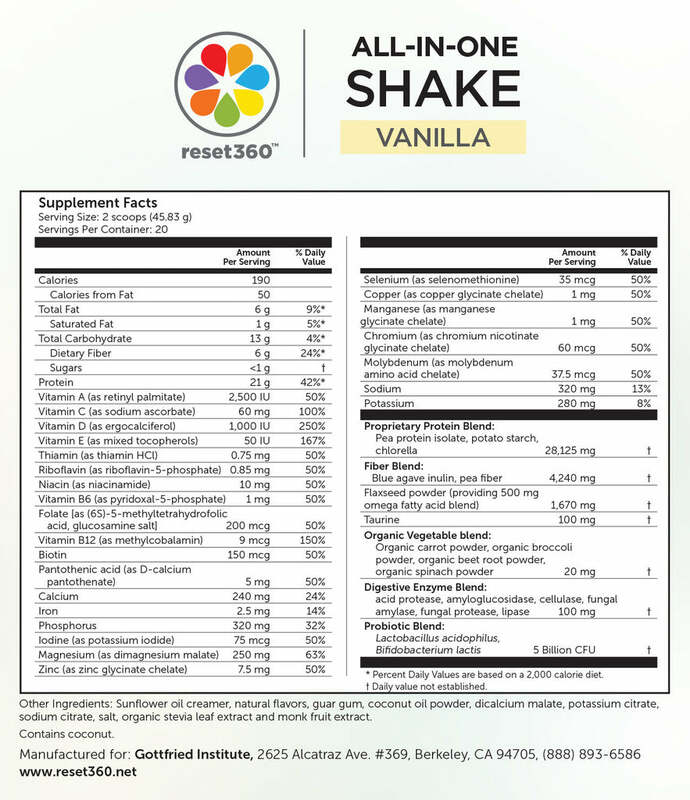 Reset360 All-in-One Shake: Mix 2 scoops in 8-10 fluid ounce of water or preferred beverage and drink daily or as recommended by your healthcare practitioner. 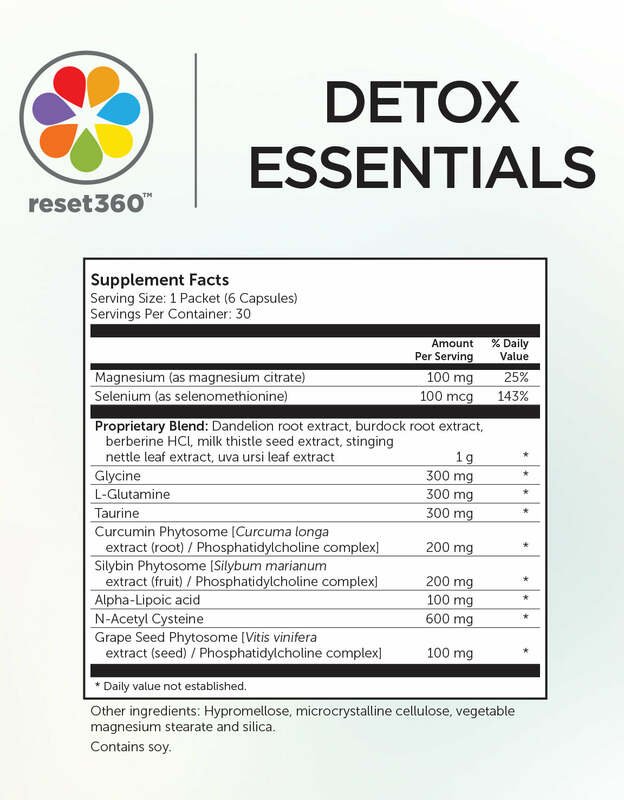 Reset360 Detox Essentials: Take 1 packet daily or as recommended by your healthcare practitioner. 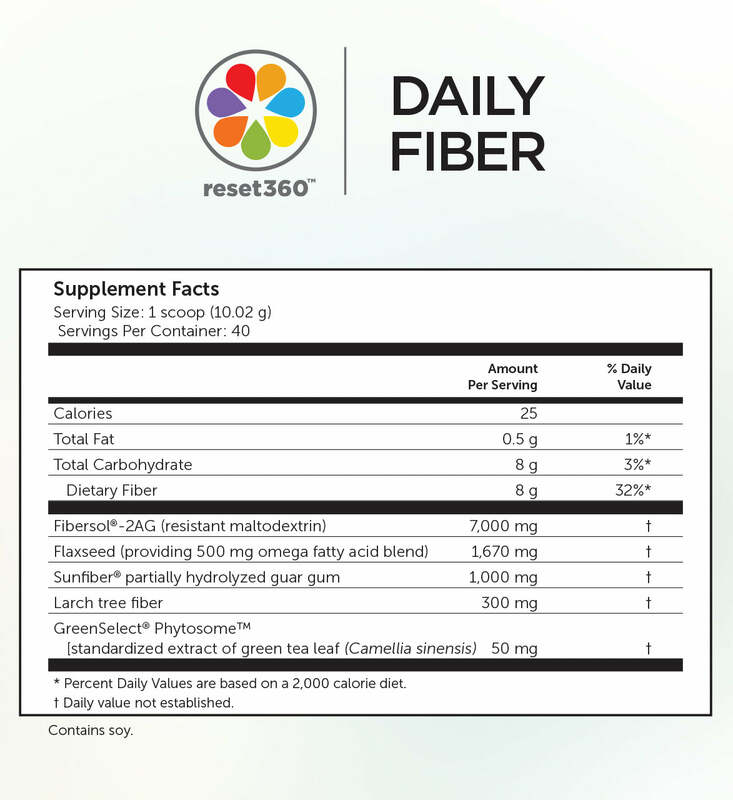 Reset360 Super Greens: Mix 1 scoop with 8-10 fluid ounces of water or preferred beverage and drink daily, or as recommended by your healthcare practitioner. * Please note that all of the statements in this document have not been evaluated by the Food and Drug Administration. This product is not intended to diagnose, treat, cure or prevent any disease. If you are pregnant, nursing, taking medication, or have a medical condition, consult your physician before using this product. Love the products & feel great! I would have given this a five star review but there are no instructions for the cleanse included & when I called I got an answering machine. Would love the protocol printed and sent to me. Thank you! Check out all the views for the products. 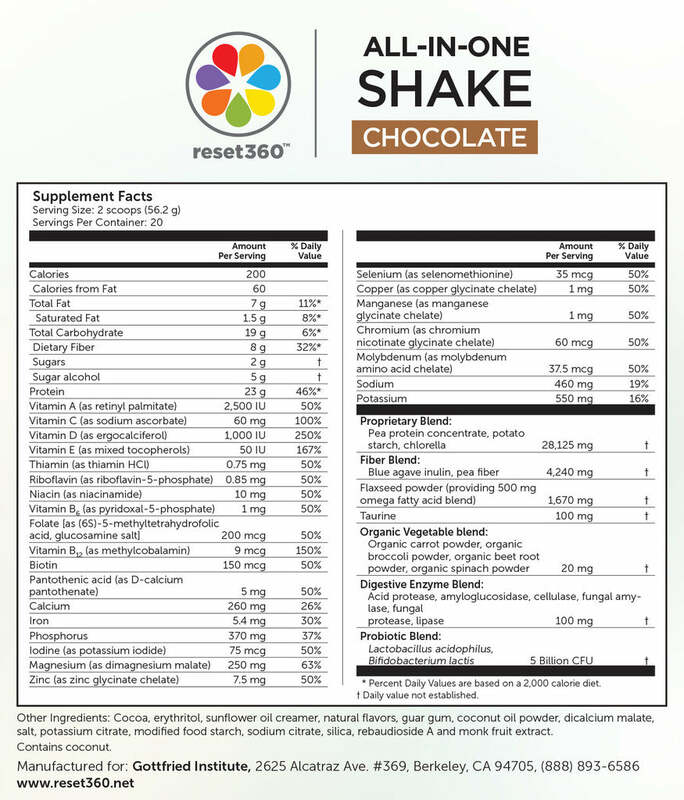 The nutrition information and the ingredients (from the packaging) are all listed.